The GET OUT AND DIVE premise is that life is to be lived. Dispense with preconceptions, learn something new or rediscover passion and get off the couch! Diving is an activity, sport, lifestyle and different to each person. The belief that you are never too "anything" is important because diving is not exclusionary. Follow your passion and embrace your fears to find the wonders of the underwater world from just below the surface to far below. One size does not fit all and this group of diving professionals embraces the uniqueness of each diver and each adventure. Some of our adventures call for swimsuit, mask & snorkel while others require rebreathers, drysuits. lines, lift and power tools. Think it through and enjoy. The amount of training and type of gear required for each diver will vary. Snorkeling may come naturally to one person while another benefits from a few minutes or more of dedicated coaching from someone experienced with sharing the key components of successfully enjoying the environment. Scuba diving with compressed air requires a desire to learn and follow some basic rules of physics and physiology. Depending upon the environment and personal goals, training may be accomplished in a few short days. Training beyond the basic dive skills is best accomplished as the individual diver evaluates and drives the progression of training. Think it through seriously and come home safely at the end of every dive. Profit and commissions are not our focus. 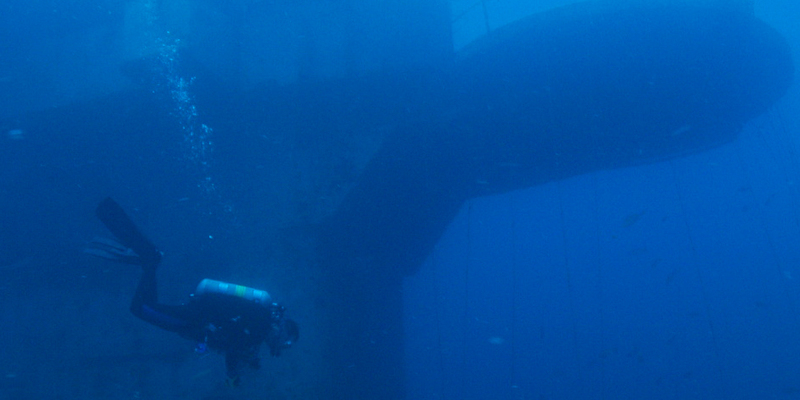 Most brands can provide safe, competent and happy diving experiences. Buy right the first time! Partnering with other adventurers, conservation minded individuals and organizations that play well in the sandbox of life is important. The individuals and organizations shared within our website follow similar ideals and provide additional resources for getting out and diving. Feedback and requests for additional promotions are always welcome. We want to help get people out diving and snorkeling and keep everyone engaged. Meeting new people and growing from each adventure is important. Do not limit yourself to a single instructor, dive site or focus in diving goals. Think about trying something new again. Fish are fun, corals are cool, crevices turn into caves and wet rocks can reveal amazing images. Maybe there is a new way to master an old trick.